As much as electronic books have been a lifesaver, or more appropriately a shoulder/back saver, the book lover in me still loves possessing physical copies of books, especially when they hold special memories for me. Below are five books that are very dear to me, with little stories of their own and I cannot see myself throwing them out anytime soon. Let me know down below if you have any books that you love so much that you will not part with it so easily. 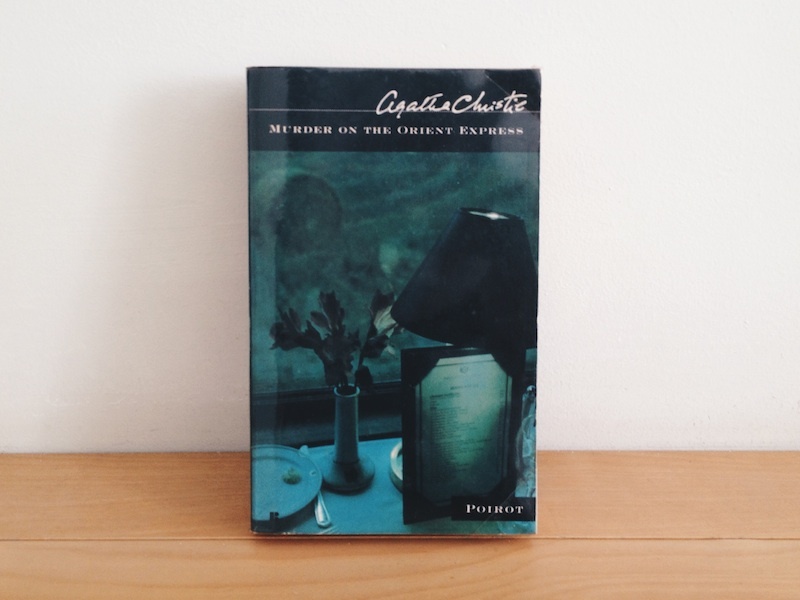 One of the masterpieces of English writer Agatha Christie, it is a must have on the bookshelves for all die-hard fans of ‘The Queen of Crime.’ I absolutely adore this book and think that it epitomizes the beauty of her huge collection of crime fiction writings. 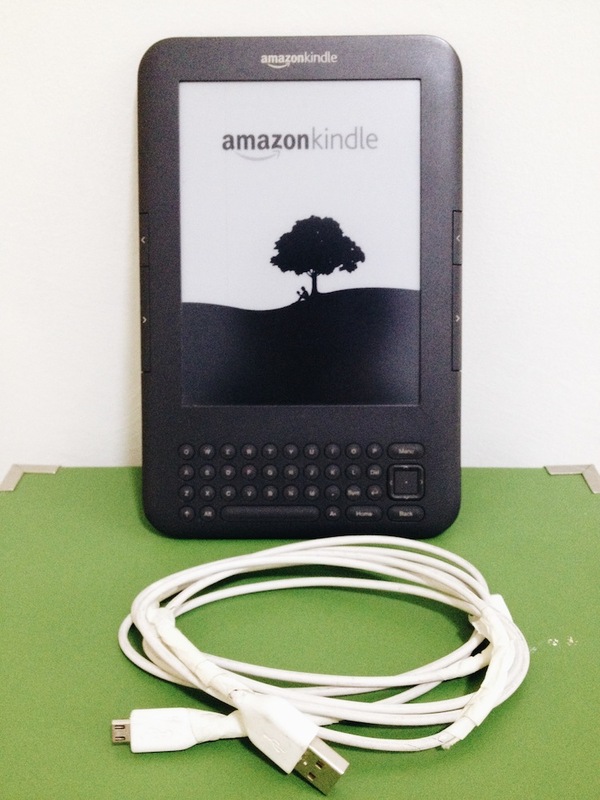 You were my first Kindle, my first reading device I have ever owned and you liberated me from the weightiness of paper to free up my reading experience. Thank you for all the amazing, albeit bumpy times we had together through some long rough journeys where you introduced me to so many more fantastic worlds than I have ever imagined. Adieu my friend. Those were some great memories we shared. Sorry folks for the lack of book review this week because I have been struck by this mega flu bug that has left me crippled in bed for many days. I am currently still recovering from the illness and have been unable to keep up with the comments left by many kind readers, so do give me some time to play catch up when I am feeling much better. But last week, I was pretty excited to learn that the English translation of Haruki Murakami’s latest book “Colorless Tsukuru Tazaki and His Year of Pilgrimage” has finally hit the stores! I cannot wait to read this bestseller, with a million copies flying off the shelves a month after its release in Japan. The hardest part though is to resist perusing all the online reviews before actually reading it myself except for THIS article from The Atlantic that hits spot on with regards to the Murakami appeal in spite of his formulaic approach to his novels. Murakami writes genre fiction—formulaic, conventional, with an emphasis on plot. But it is a genre that he has invented himself, drawing elements from fantasy, noir, horror, sci-fi, and the genre we call “literary fiction.” The other ingredient, which we tend to think of as antithetical to genre fiction, is a hostility to tidy resolution. 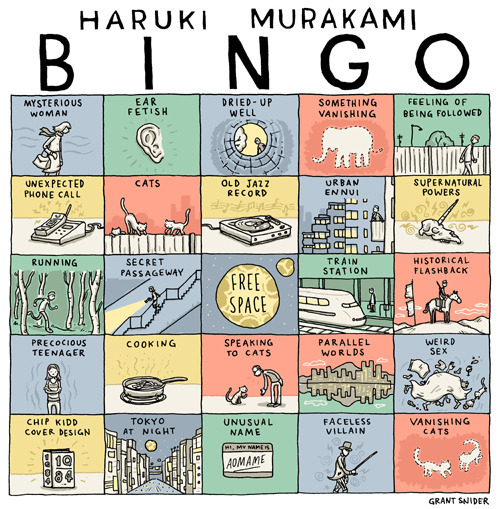 Ending off with this post with a lovely Murakami bingo game that succinctly summarizes the typical recurrent themes found in most Murakami books. This drawn by LA-based comic artist Hunter Nesbitt and a poster of this can be bought HERE.